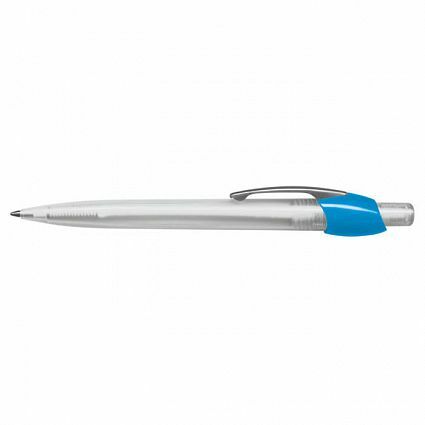 Retractable plastic ball pen with a high quality satin chrome metal clip. 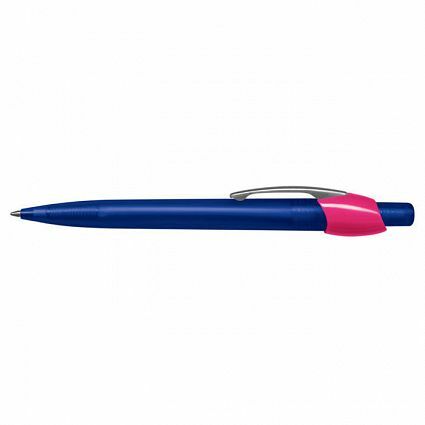 Can be mixed and matched in 132 colour combinations with the push button colour always matching the barrel colour. Has a TRENDS Black ink refill with 1200 metres of German manufactured DOKUMENTAL ink and a tungsten carbide ball for improved writing quality. Barrels – Frosted Clear, Frosted Yellow, Frosted Orange, Frosted Pink, Frosted Red, Frosted Bright Green, Frosted Green, Frosted Light Blue, Frosted Dark Blue, Frosted Purple, Frosted Black. 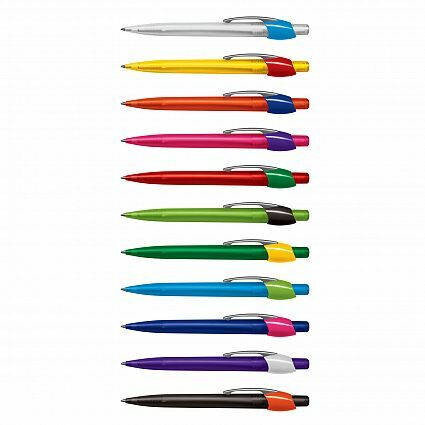 Top Parts – Silver, White, Yellow, Orange, Pink, Red, Bright Green, Green, Light Blue, Dark Blue, Purple, Black. Dia 15.5mm x L 138.5mm x 15.5mm (includes clip). Pad Print: Position C – 20mm x 4mm. Pad Print: Positions D & E – 55mm x 7mm. Screen Print: Position A – 60mm x 13mm. Direct Digital: Position D & E – 55mm x 6mm. 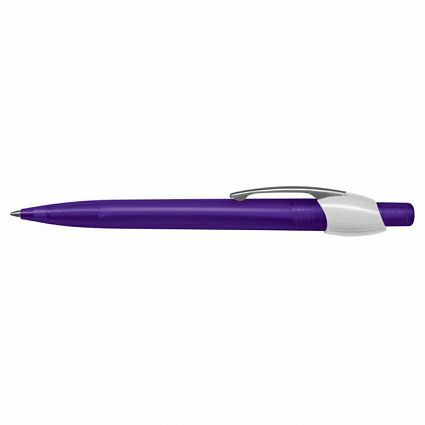 Available on indent with printing for a minimum of 5000 pcs. Indent printing areas may vary from those illustrated.